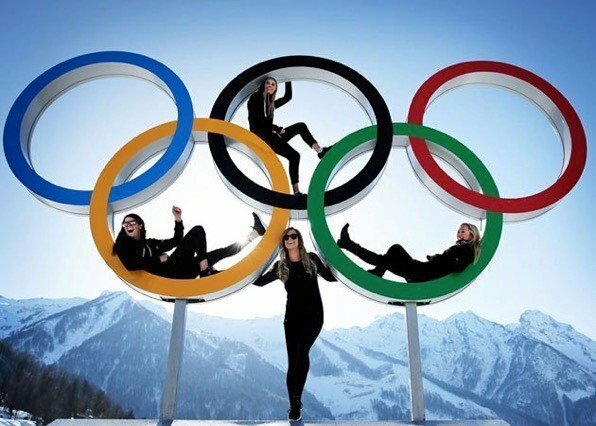 In the years 2011-2013, in the Adler Area of Sochi Region in the Immeretin Lowlands of Russia, an Olympic park of 200 hectares was built for the 2014 Winter Olympics. Over 100.000 m3 of concrete was required to build the Olympic park and sports venues. 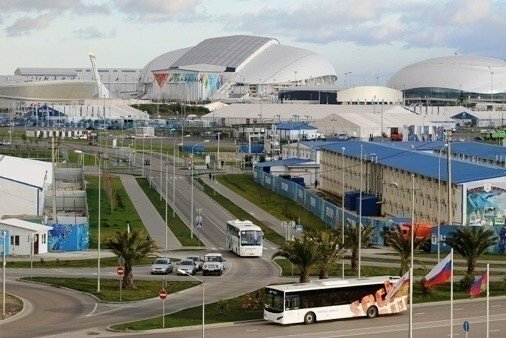 The transport infrastructure prepared to support the Olympics included twelve tunnels, forty-six bridges, thirty-one miles of road, 223 miles of railroads and stations in and around Sochi, forty-two hotels, four sports venues and two training areas. Amongst others at Sochi International Airport, a new terminal was built along a 3,5 km runway extension, overlapping the Mzymta River. The complexity of the construction was determined by Sochi’s location in the mountains where it was virtually impossible to deliver concrete, due to the high rise. The high rise made it impossible to place a modular or stationary concrete plant on the remote mountain areas, due to the compact location, the inaccessibility of preparing the foundation and the difficulties in transporting oversize parts. The mixer trucks could not be properly filled if they had to climb the high mountains, which meant a higher cost price for transportation. And because of traffic problems often blocking the mountain roads the concrete would often have begun to solidify at the time of delivery. This is because as soon as water is added to the mix, the cement begins the process of hydration and will begin to set. The only option for the construction was using Fibo Intercon’s mobile batching plant M2200. No other plant was able to locate on that area in the mountains due to limited size and foundation possibilities. The plant was placed on the site at 1100-1200 m and helped to successfully complete the construction in time. The main contractor selected a Fibo Intercon batching plant for its setup speed and flexibility and because it requires no foundation. The plant was moved several times to improve productivity and logistics during the construction of the project. Fibo batching plant does not required material ramps and other civil engineering requirements. This makes the plant very competitive delivering improved value for it’s quality. The plant capacity was 45 m3/hr delivering 450m3 per day during some construction shifts. Fibo intercons concrete batching plant is the best avalible on the market, it is a well thougt out solution, designed to provide optimum flexibility, performance and operating efficiency. It does not require a cast foundation, it can be placed on any even surface. 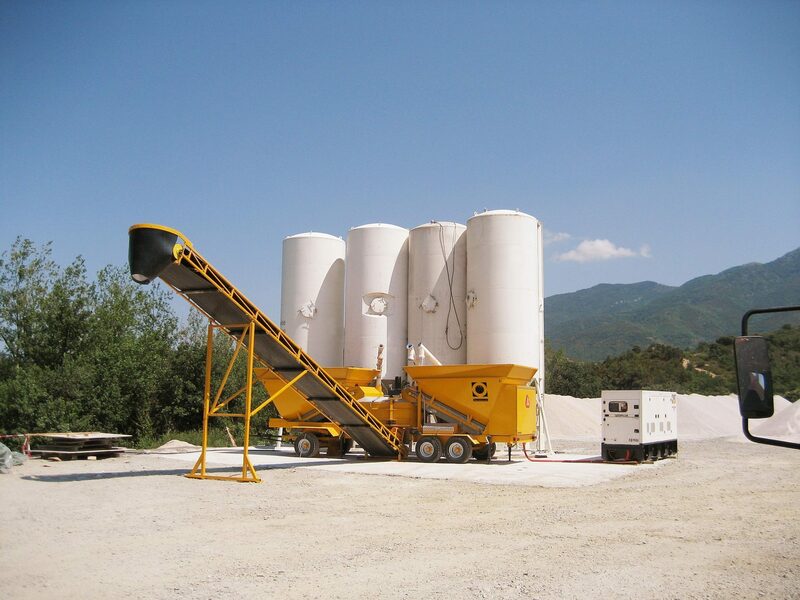 Our concrete batching plants are designed and built to a very high standard, so it will last more than fifteen years – this insures a very high return on your investment. Fibo Intercon supply a large range of high quality concrete batching plant with a dosing accuracy of +-3% for standard machines and +-1% for our pre-weighing machines..
Below you can see a small selection of our standard machines, there can be set up and ready to go within two hours. Mini Viking is the ideal solution for small and medium-sized construction projects. B1200 is a compact, mobile batching plant assembled on a joint twin-axle bogie trailer. M2200 is a mobile batching plant assembled on a joint triple-axle bogie trailer with turn able front axle. T2200 is a mobile batching plant assembled on a common twin-axle step frame semi trailer. Fibo intercon supplies big bag silos as well as vertical and horizontal cement silos.